Reader’s Question: What Is The Savers Tax Credit? Here is the next installment in our the Reader’s Questions Series which highlight questions emailed to me by you, the readers of Money Q&A. Be sure to find out at the end of this article how you can receive a free copy of Dave Ramsey’s book, The Total Money Makeover if your money question is chosen to be featured on a future week’s blog post. If you’re not familiar with Dave Ramsey’s book, you should run right out and get it. It is one of my top ten best personal finance books that everyone should read. Now….on to our reader’s question. What is the tax credit for investing in a Roth? And, how do I claim my Roth contributions on my taxes especially if I have already filed my taxes for this year? What Is The Tax Credit For Investing In A Roth IRA? It is called the Savers Credit. It used to be called the Retirement Savings Contributions Credit. Tax credits provide refundable credits that offset your taxable income. Tax credits are different than tax deductions. Tax deductions reduce your taxable income. Tax credits reduce your taxes typically in a dollar for dollar fashion and can be very specific on who qualifies, what events trigger it and can even be a one-year event that benefits people. The beauty of tax credits is that you do not have to have a taxable income in most cases to earn the benefits or the tax credit also simply just add to your income tax refund. A Few Details About The Savers Credit? You may be eligible for the Savers Credit tax credit if you made contributions to an employer-sponsored retirement plan such as a 401k retirement plan or to an individual retirement arrangement which is better known as an IRA or a Roth IRA. In order to qualify for the tax credit, you need to be a low-income earner. The Savers Credit was built to help young savers who do not earn much money invest for retirement. You may be able to take a tax credit of up to $1,000 if you are a single filer, or you may be able to receive up to $2,000 if filing jointly. What If You Already Filed Your Taxes? All is not lost if you have already filed your taxes for 2011 and did not account for the Savers Credit. You can file an amended tax return to claim your forgotten tax credit. If you need help filing an amendment, tax professionals like the ones at H&R Block or even online with TurboTax can help you file and amendment to get the Savers Credit and any others you may have missed. Get your biggest tax refund, guaranteed. Plus FREE Expert Tax Advice. Download TurboTax® Deluxe to maximize your deductions. One of the greatest things about a Roth IRA is that you can continue to make contributions to your account up to 3 ½ months into the new year. For example, you can make contributions to your 2011 Roth IRA if you didn’t complete the $5,000 maximum contributions. You have up until the tax filing day to finish making your contributions for last year’s Roth IRAs. This year, that date is April 17th, 2012 thanks to the typical due date falling on a weekend. You can check out the IRS website for more information on the Savers Tax Credit. Is A $1,000 Emergency Fund Enough To Start? Should You Put Your Emergency Fund In Mutual Funds? How Do You Start Saving If You Live Paycheck To Paycheck? Is My Money Save In A Bank? Do you have a money question that you would like to ask? 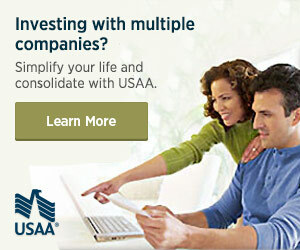 Email me your money, investing, retirement, savings, or other question to Questions[at]MoneyQandA.com. If I pick your question for the next article in the series, I’ll send you a free copy of Dave Ramsey’s book, The Total Money Makeover, or you can pick from any of these other free books instead. Thank you all so much for all of the questions! I would really like to turn this into a weekly series of blog posts answering your questions every Monday. So, please keep them coming! I would be curious to know how effective this tax credit is in getting low income earners to invest in an IRA. Its actually going to help average Americans, the average household income is $48K a year. So, this credit is huge for many families.